My company OmniSales International recently expanded our diversified offerings into industrial service work. 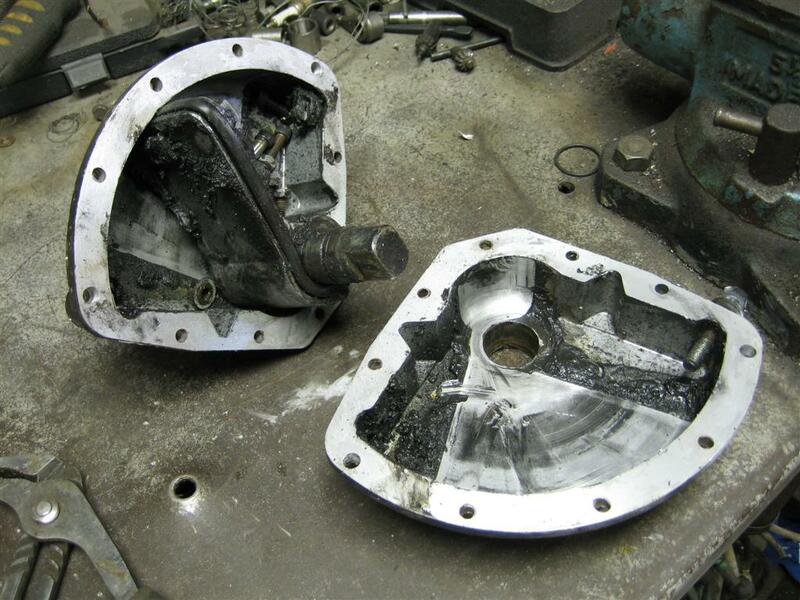 Specifically, we are now offering a rebuild service for industrial actuators. What is an actuator? A basic definition can be seen here. 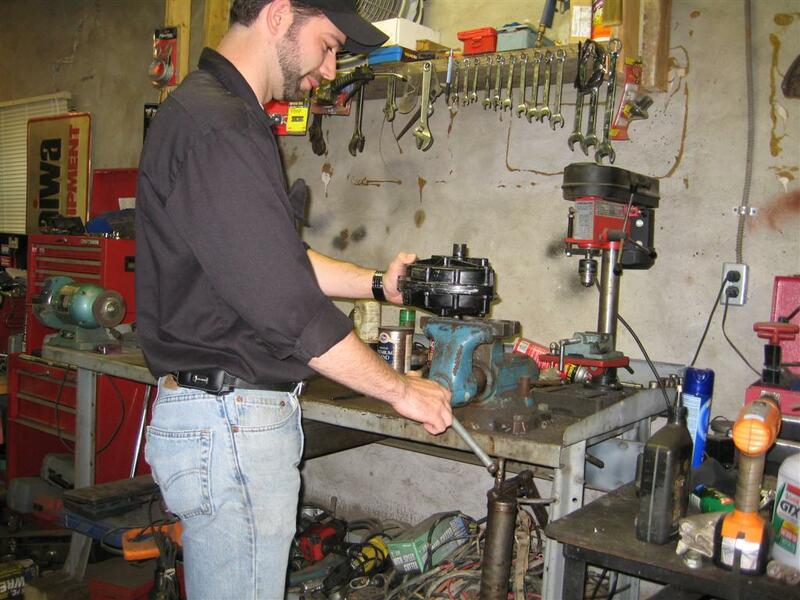 The applications for which our actuators are typically used is on industrial valves. The actuators provide a way for operators and/or computers to open and close valves remotely. The two most widely used types of actuators are electric and pneumatic. The type we service is pneumatic. Of those, we service vane type, rack and pinion type, and linear type. One of the vein types we service is the Xomox Matryx series. Xomox MX200's just unloaded for rebuild. 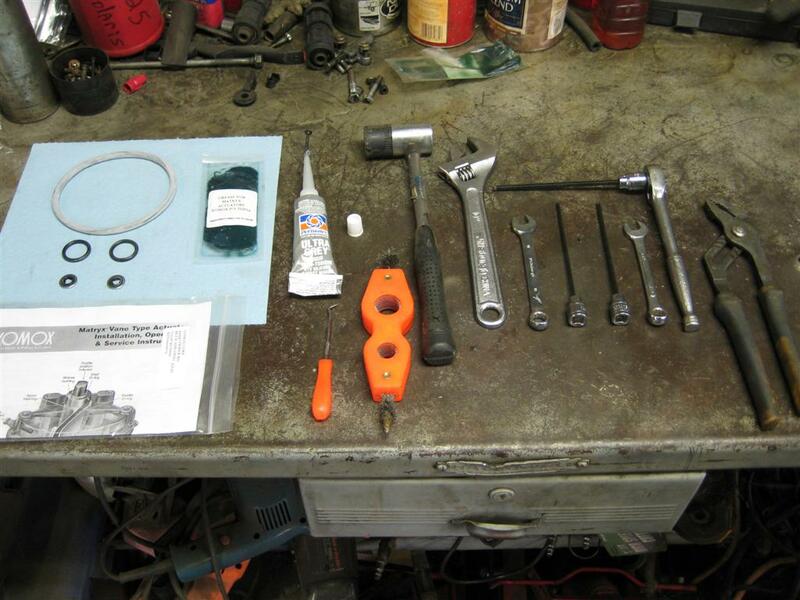 Parts and Tools laid out for the project. I begin by cleaning the external surfaces of the unit in my parts washer. 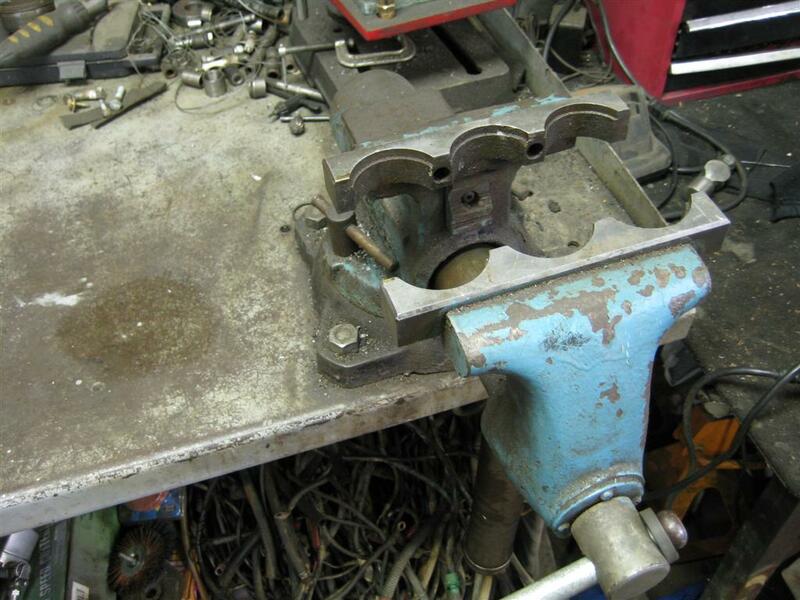 I then place the actuator in my vise which has specially designed jaws which are useful for gripping odd shaped items. Once secure, I remove the case bolts and fix a puller onto the actuator and use it to evenly separate the case halves. 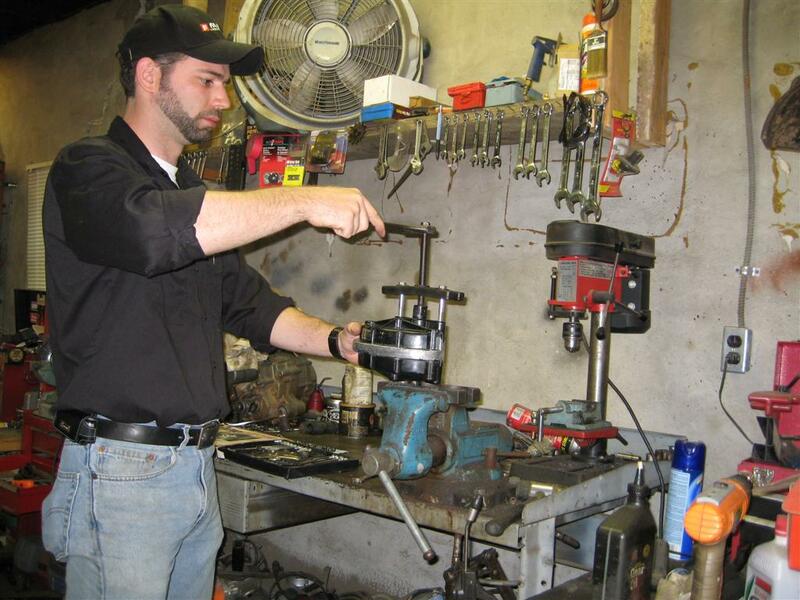 Placing the actuator in the vise. Once I split the cases and disassemble the unit, the soft parts (i.e. o-rings, seals, etc.) 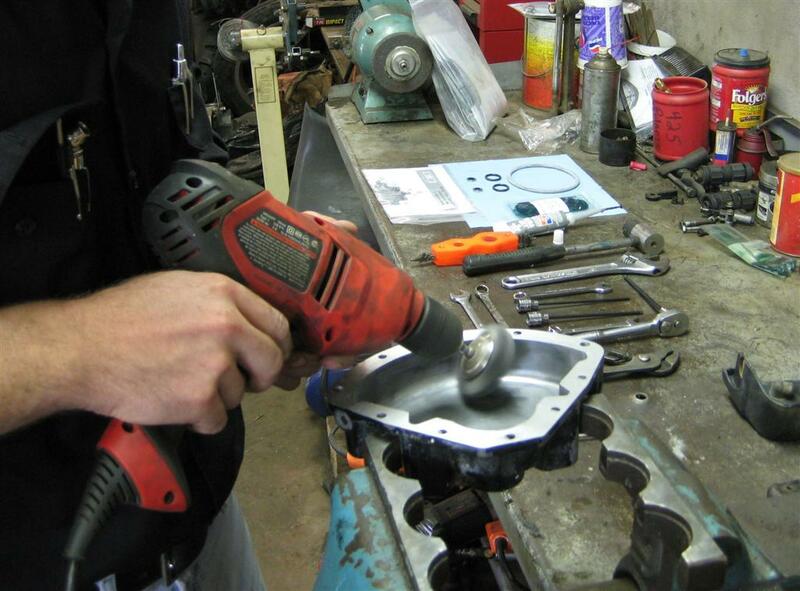 are removed and the components go back to the parts washer to be cleaned of any dirt or grease. 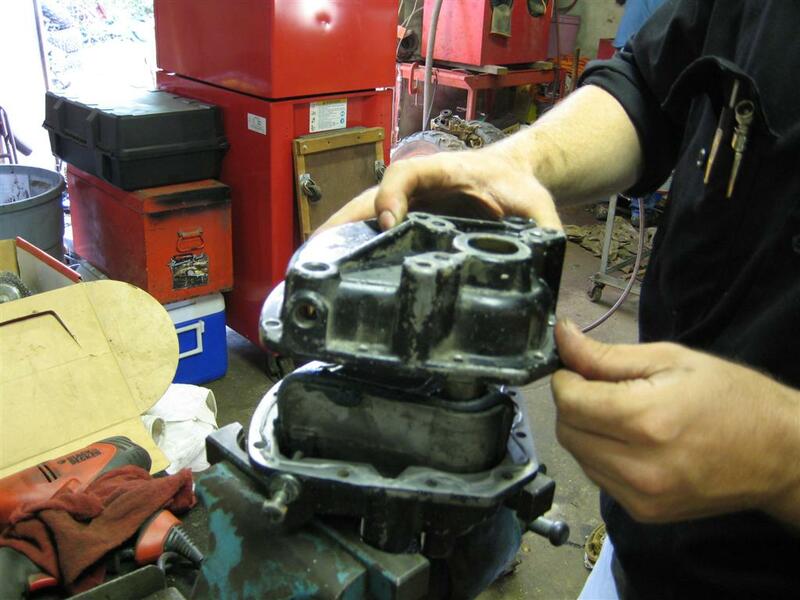 Once cleaned, the rebuild process can begin. Typically, the components replaced during the process are known as “soft parts” which consists of o-rings, seals, guide bands, and in some circumstances bushings and bearings. 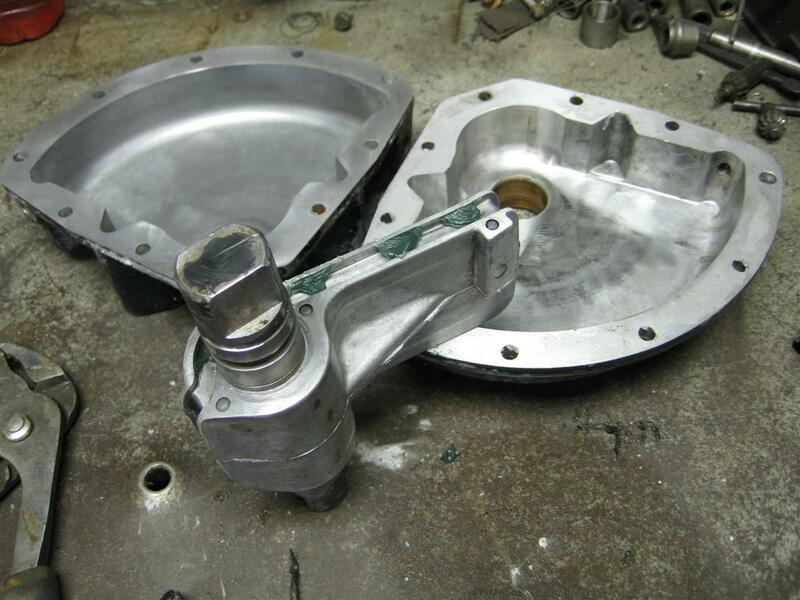 For most used actuators, if hard parts, such as veins, pistons, cases, etc. 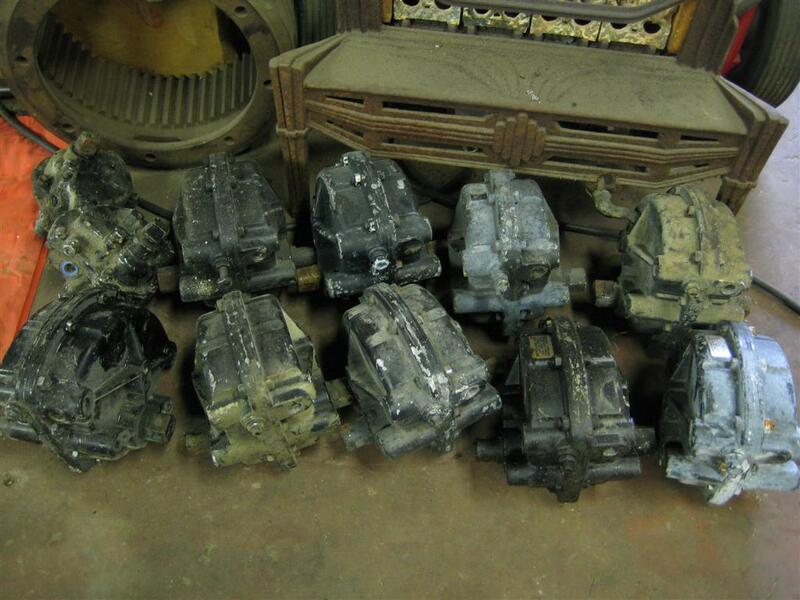 need to be replaced, the actuators are usually scrapped as the cost of the new parts exceeds the value of the used unit. For this reason, I try to keep a supply of these scrapped actuators on hand for parts. That way, I can offer the customer a used part for a fraction of the cost of a new one. Cleaned and ready for final inspection. When the parts are clean I can closely examine them for wear or damage. Once inspected, I use a fine, high speed, concave style wire wheel to polish the inside of the cases where the main o-ring wiper seal rides forming the air-tight seal between the cases and the vein. 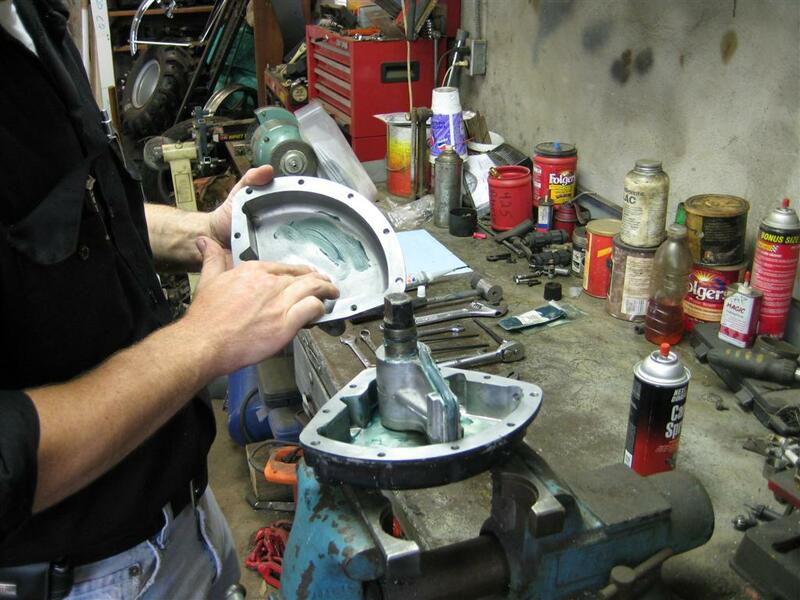 I then apply the grease supplied by the manufacturer to all the components and install the new o-rings and seals. I apply sealant to the case joints and assemble the body, replacing any nuts or bolts that show wear. I coat the actuator in a corrosion resistant, high temp enamel coating. Once the sealant and coating have set up, it’s time to test the unit and set the adjustable stop screws. 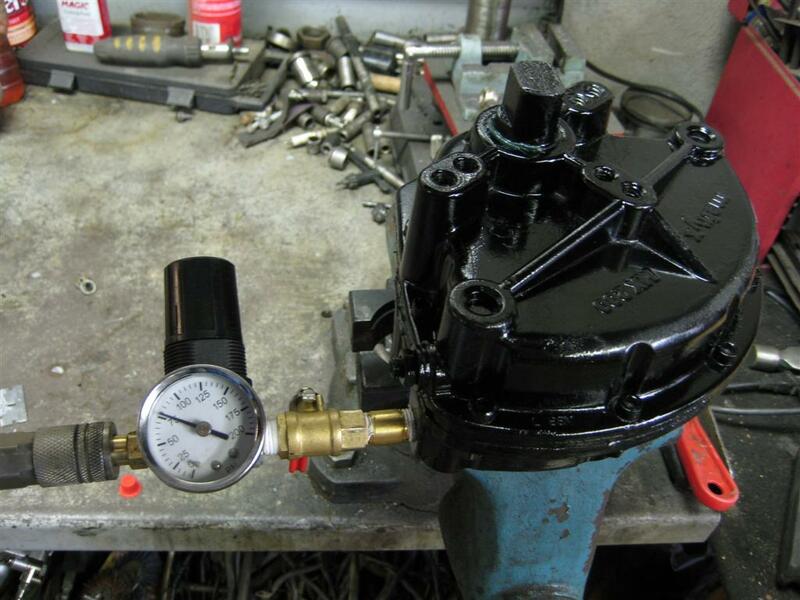 I plumb an air pressure regulator to the unit and begin leak testing. The max air pressure for the Matryx MX series is 120 psi. I run the pressure up to 120 on the dot and spray the joints with soapy water to look for leaks. When everything checks out, I stroke the actuator starting at about 25 psi and continue to do so up through 80 psi which is the normal operating pressure. I ensure the actuator strokes easily in both directions with no internal leak through. If there is any binding or catching, it will be very evident at low pressure which is where the actuator would have the least torque. 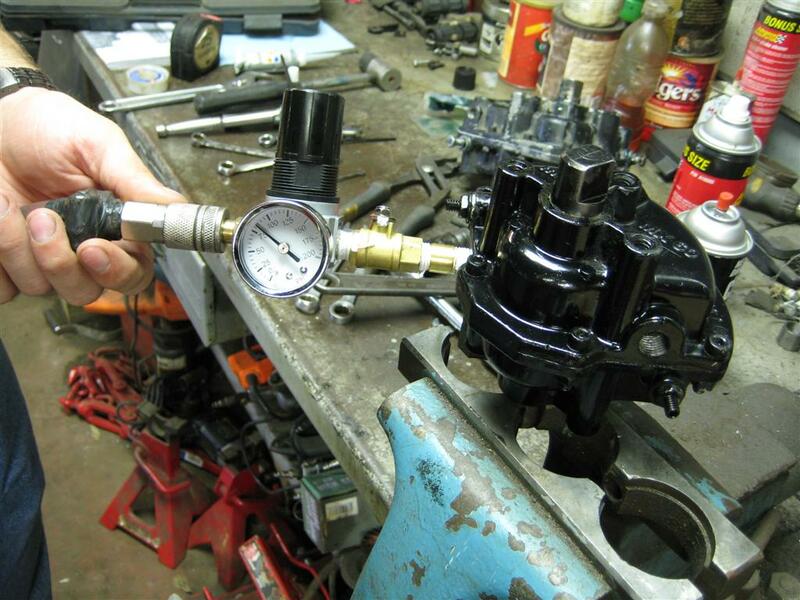 Typically, if the actuator strokes easily at 25 psi, it will perform well at any higher pressure. When it passes my tests, I unhook my testing apparatus and install cap plugs in the air ports.